Check out my latest images from Zion in the Carmel Gallery E-News. 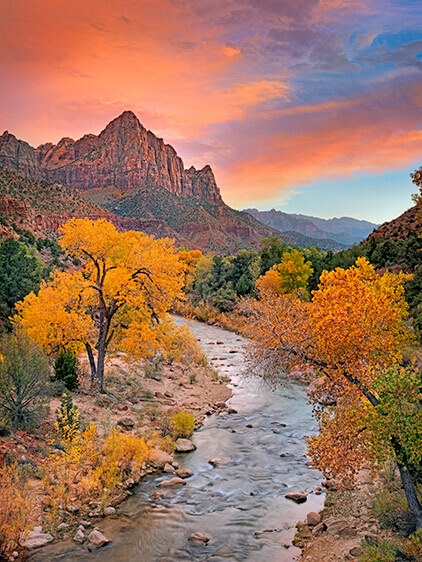 When I saw the clouds forming during the day I thought it would be a colorful sunset, so I lined up on the bridge 3 hours before sunset to get the primo position for this shot of Autumn Sunset in Zion. The locals were saying they had the best autumn colors seen in the area in 8 years! I've really been enjoying your autumn shots, Elizabeth - so vibrant!